Once upon a time I was copying a very large file from a computer on my LAN to a Network Attached Storage (NAS) device on the LAN and it seemed to run slowly. While the standard measure of bandwidth speeds is megabits, Windows uses megabytes instead. After multiplying by 8 in my head, I realized the speed of the copy operation was a bit under 100Mbps. The network was not doing much else and the NAS should be able to consume a big file much faster than that. The source PC had an SSD, so it too can run faster than the ancient "Fast Ethernet" standard of 100Mpbs. With smaller files, the slowdown would not have been noticeable, but this file was pretty big and the copy operation took around 10 minutes. Clearly, some device was not running at Gigabit speed. But which? It could have been the source computer, the switch it was connected to, the router, the second switch that the NAS was connected to or the NAS itself. I have always been in the habit of buying networking equipment that offers LED lights on the Ethernet ports and this is exactly why. 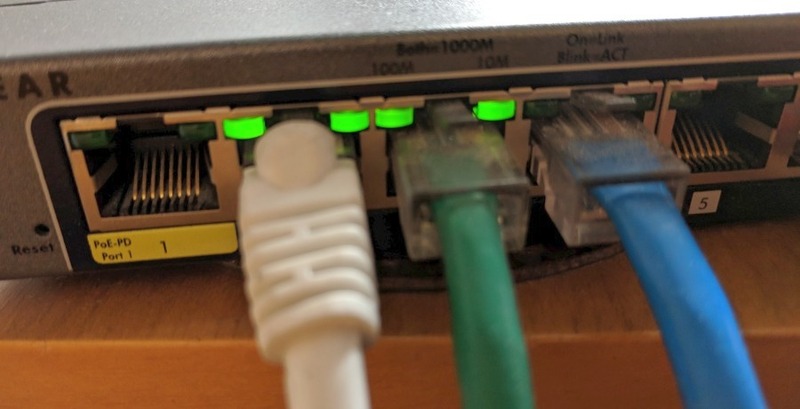 A glance at the switch showed that the Ethernet cable to the router had two green LEDs, while the cable to the computer had only the left green LED lit. Someone better organized than me would have had a cheat sheet for the LED lights handy. However, I didn't need to hunt the down manual, the switch in question was a smart switch, and logging into its web interface quickly revealed that the port to the computer was, in fact, only running at 100Mbps rather than gigabit (1000Mbps). Why had this happened? When did it happen? I have no idea. Fixing this was trivial. I disconnected the Ethernet port from the computer, waited a couple seconds and reconnected it. Back to gigabit (shown in the image above). On my RouterSecurity.org site, I suggest buying a router with LED indicator lights on the Ethernet ports. Sadly, many routers do not offer this. 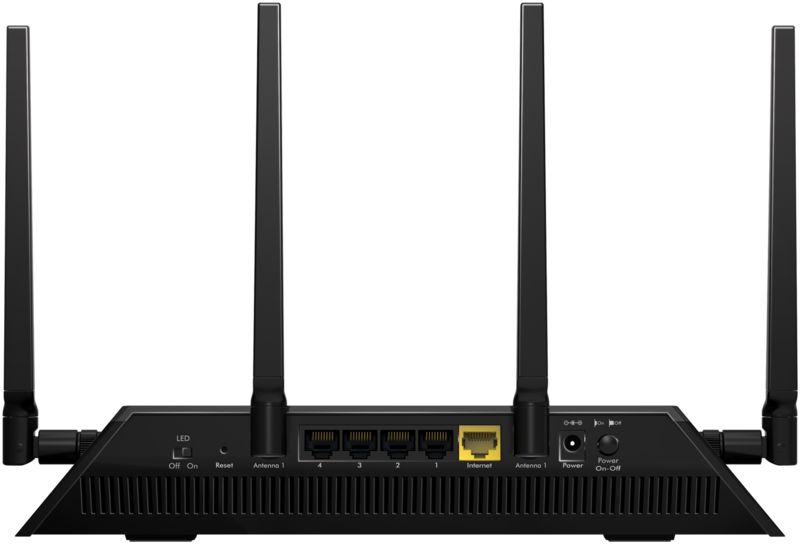 Even high end routers such as the $200 Synology RT2600AC and the $220 Netgear Nighthawk X4S (R7800-100NAS) do not have LEDs. My recommended router, the Pepwave Surf SOHO does have Ethernet LEDs. Granted, it's not the most important feature when shopping for a router, but it helps. Not only do the lights indicate speed, they also indicate a healthy connection both by their being lit at all and by blinking to indicate that data is being transferred. For example, if the lights are off, there is no need to look for a software problem. In the image above, the blue Ethernet cable is not connected to anything which is clearly indicated by the LED lights being dark.